Food Review: St. Joseph’s Brewery - NCHS Live! The irony of the restaurant is obvious and hilarious. St. Joseph’s Brewery, at the corner of College and North St. downtown, is a brewery in the shell of a church. None of the exterior architecture was added or removed. The pulpit is now replaced with several beer tanks. The insides may still resemble a church, but they also resemble a European-style brewery and restaurant, with its dark-wood floors and its in-house brewed beer. The menu contains a diverse selection of appetizers and entrees from different european countries. There are entrees like German sausage platters or poutine from Canada. With salads from Greece and appetizers from Germany. Speaking of German sausage platters, the platter is exquisite. With four different sausages, German potato salad and sauerkraut, the sausage platter is a well-rounded dish. The sausages, while one was too spicy, the other three where, a juicy, pleasant mix of sausages. The German potato salad, which consists mainly of sliced potatoes and dijon mustard, gives the dish a nice kick, which goes well with the sauerkraut. 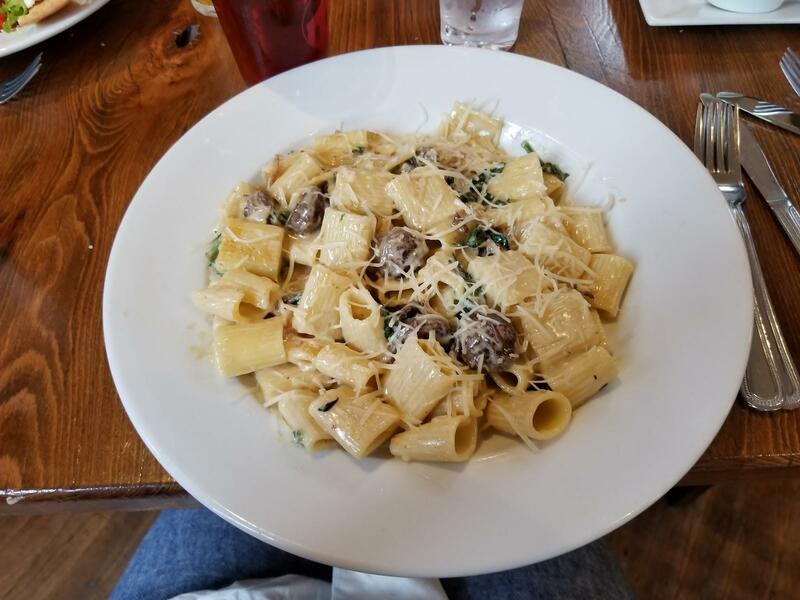 The Rigatoni, from Italy, was very rich. The lamb sauce that came on the dish was succulent, complimenting the pasta. It was flavorful, while also being wholesome and hardy. Poutine from Canada, while not being a normal poutine dish, it was still a good meal. 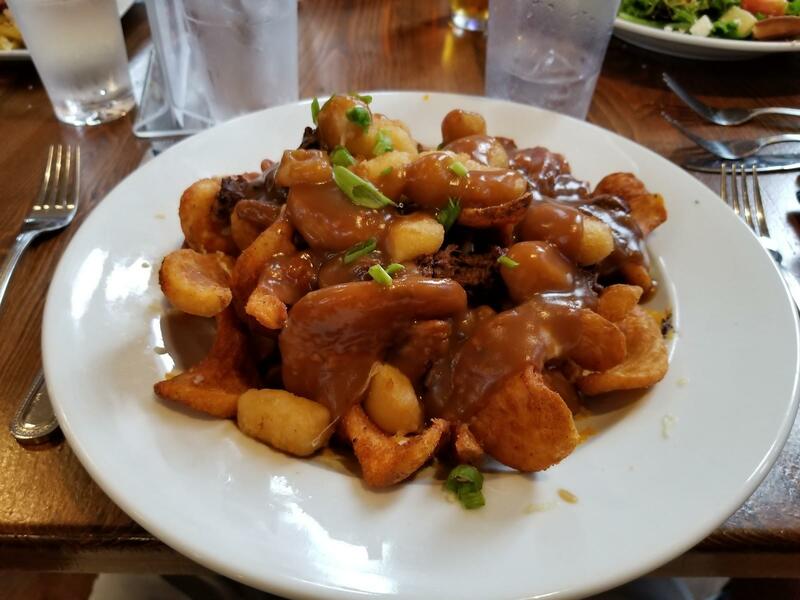 While the beef was unnecessary and the spiciness of the beef negatively affected the dish, the cheese curds were still very good. The fires, while being delicious and of an interesting shape, turned soggy due to the other ingredients, making them inedible. The one dish of the night that was not a highlight was the Greek salad. The main message: way too much green. There is the amount of vegetables you would expect in a salad, and then there is this salad. The salad was essentially a giant pile of green with minimal toppings.